There are several tools to measure a website speed, and by analyzing the load speed of our websites, we learn how to make them faster. In this weekly blog, we mainly mention about GTmetrix and how to use its analyzed result to get your online Magento store run faster. 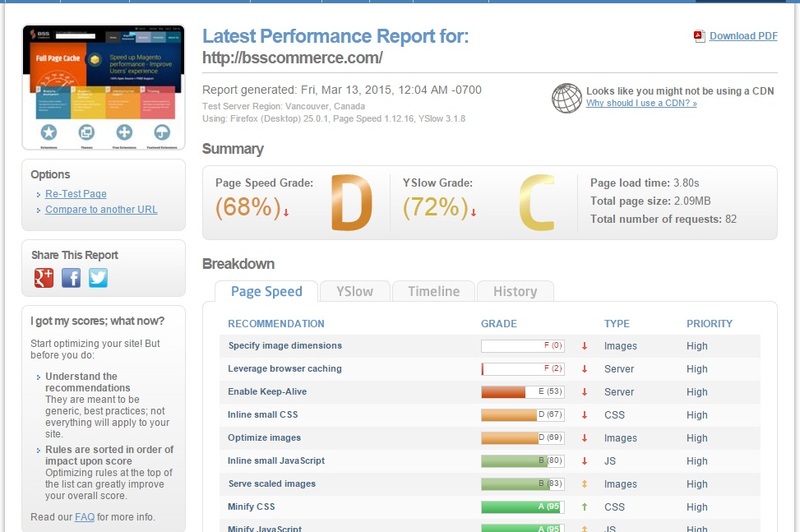 At first, you need to connect to http://gtmetrix.com/, enter the Magento website address to be optimized into a form of “Analyze Performance” then hit t“Go” button. 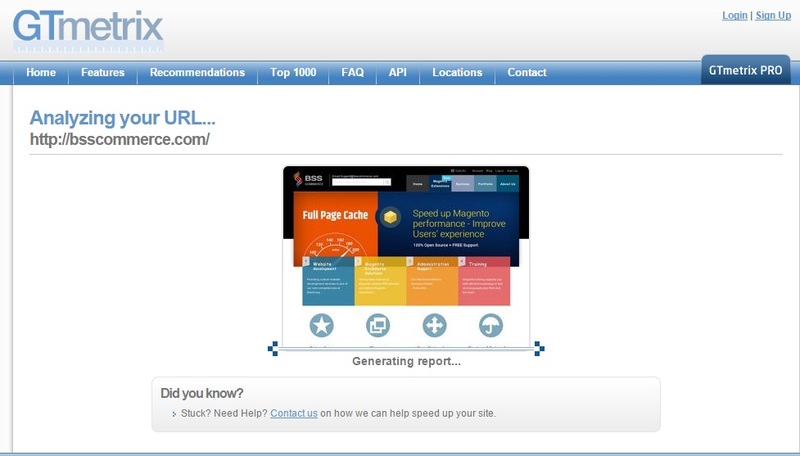 It will take you a few seconds to get the report generated about Magento site. Now based on the above speed report analyzed, we have the following solutions to optimize and speed up the Magento site. Let’s try one by one. Step 3: Replace the file need to be optimized with the file downloaded in Step 2. Go through “Minify CSS” and do as same as “Optimize images.” Before replacing the file, create a backup file. After you minify CSS, you must refresh a page to see the result and avoid errors. Check out “Minify JS” and do similar steps as “Optimize Images.” Keep in mind that you need to create a backup file before making any change and every time you minify JS, refresh the page to see the difference and avoid other errors. If you’re looking for a good one for your store, there is a great one which is worth a look. You can take a look at below screenshots to see how impactful and effective it helps. This image has a display size of 645×390 while the real size is 1284×775. To resize your images, you will have to use some programs. For necessary compression, you can use a simple editing program such as GIMP. For more advanced optimization, you will have to save specific files in Photoshop. You should save images in .jpg with a progressive format and .png with none. Remember to original backup files before changing anything. After downsizing image size (pixel), do the same with image capacity (MB). If your CSS is small and simple, more importantly, if it is not created by PHP, to reduce CSS request you can copy CSS file to a larger CSS file. After that, go through Layout call for that CSS file then delete it. To merge JSS and CSS, you can use Merge Tool in Magento. Go through: Admin panel -> System -> Configuration -> Advanced Tab-> Developer However, merging CSS/JS can cause Display Error or Function Error. You should double check and reconsider when using this method. Using many small images as an icon can create unnecessary HTTP requests. You can combine small images into a larger image file by using Photoshop and CSS background-img và background-position to reduce HTTP Requests. If you aren’t technically inclined, you might find some advanced tactics that are hard to implement. If it’s the case, you might need some help from Magento Certified Developer. We are experts in Magento extensions and Web Development that are always ready to give you a hand. Have you found our tips useful? Please Like and Subscribe our Blog to get more helpful tactics for your Magento online site.